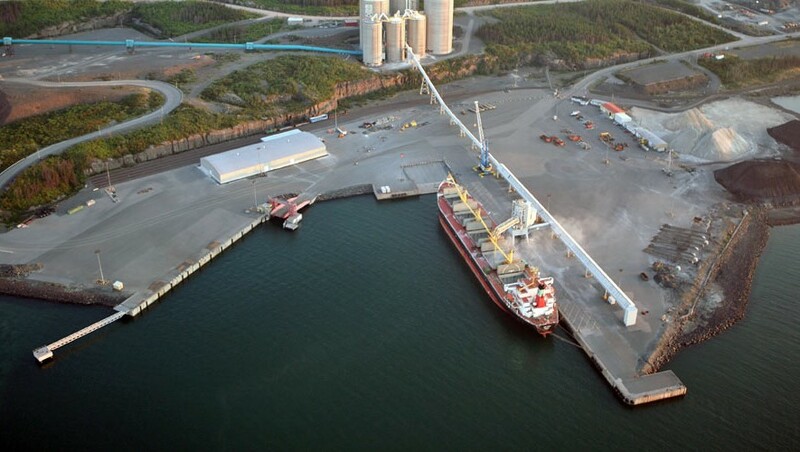 Geniarp Group offers services within the areas listed below. 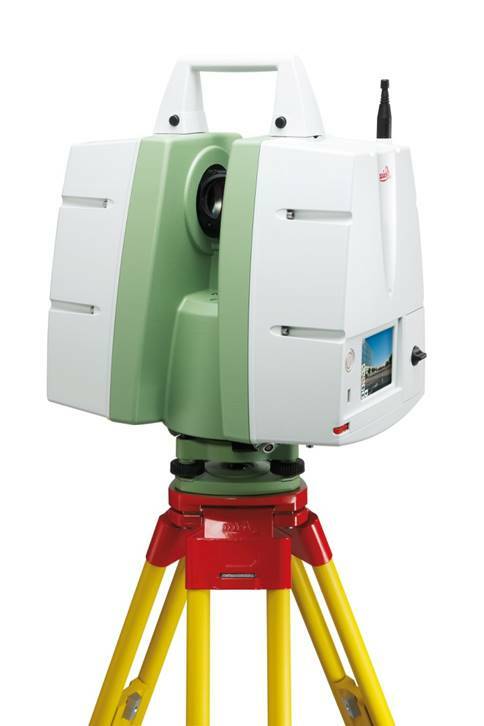 At Geniarp Group, we are an important firm in surveying and mapping services who work with you in your projects since 1998. 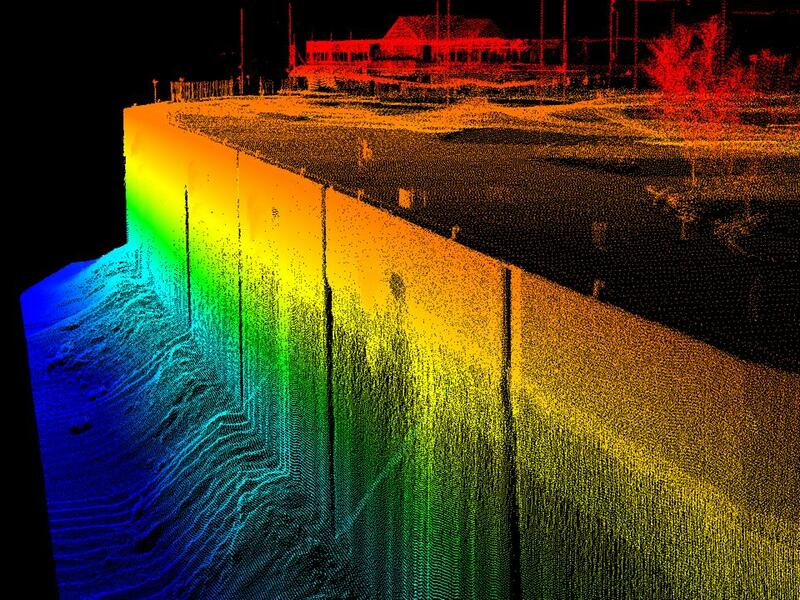 With a versatile and determined team, Geniarp Group offers its expertise in land surveying as well as airborne and marine mapping, all with instrumentation on the cutting edge of technology. 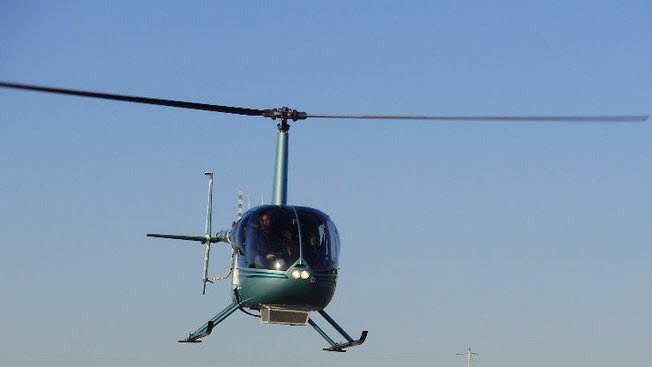 Our multiple services are constantly improved to meet the needs of a large customer base. 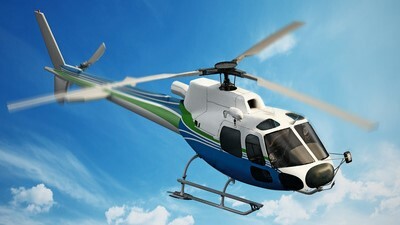 Do not hesitate to contact us, whatever your projects, it will be a pleasure for us to discuss it. 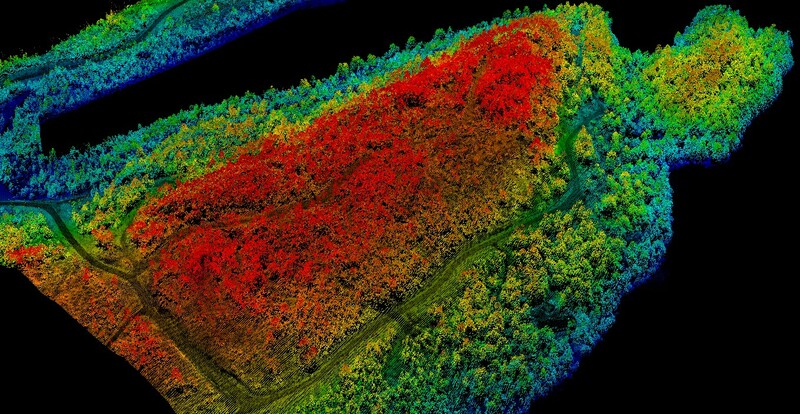 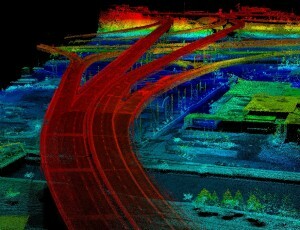 3D laser scanner technology called “LiDAR” (Light Detection And Ranging) showing a three-dimensional digital model of the ground and of all the features on the ground. Our goal is to make life easier for our clients. 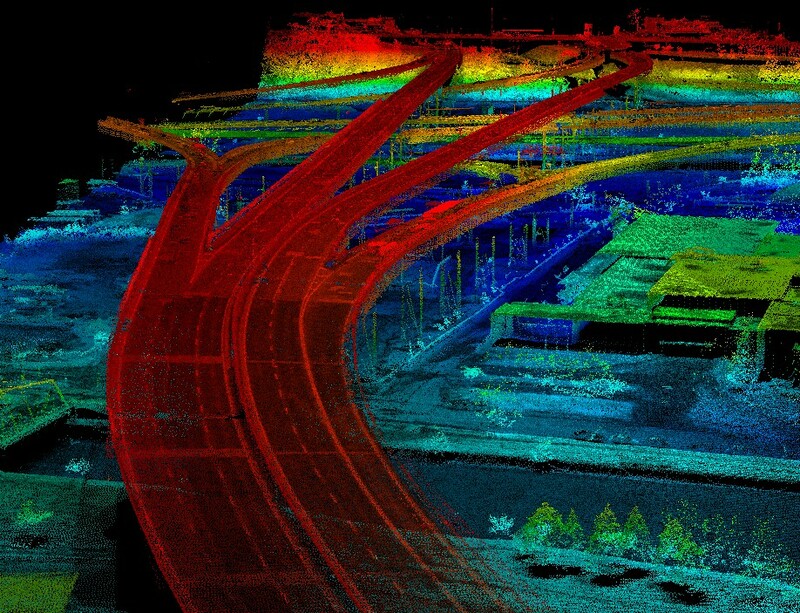 Our LiDAR products will save time and money for our clients who are working in different spheres of activity such as: transportation (roads/highways/airports/rail/canals), pipelines, gas, power lines, real estate, hydroelectric infrastructure, mining, flood mapping, municipalities and other government agencies. 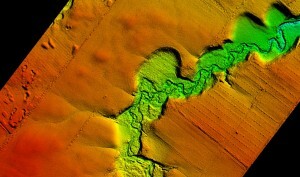 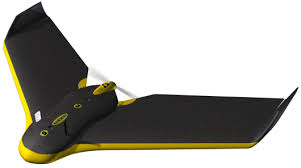 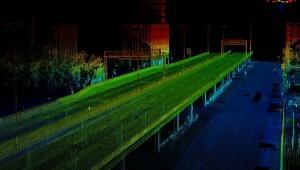 LiDAR technology is a leading technology for 3D surveying and mapping. 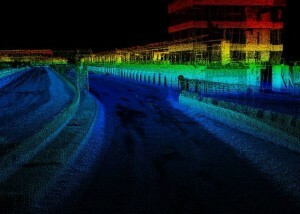 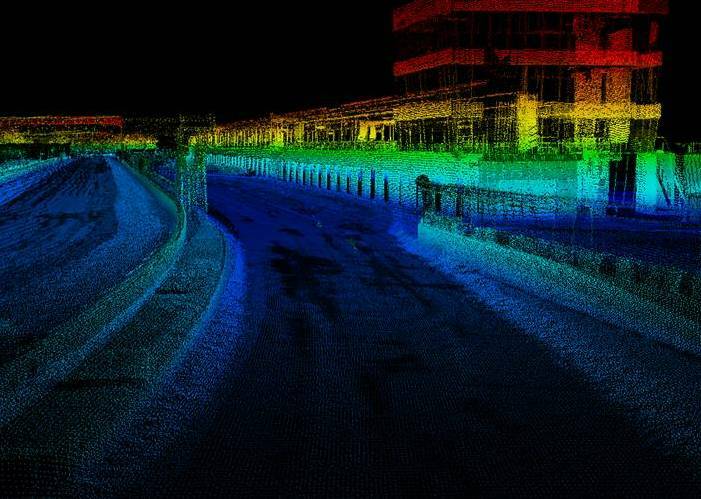 The use of LiDAR technology for projects has proven to be, accurate, fast and cost effective. 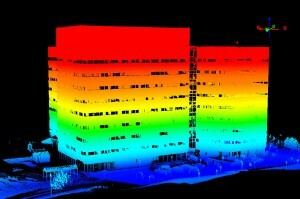 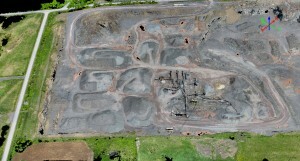 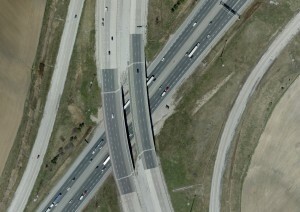 In addition to our data collection by laser scanning, we produce color aerial ortho photos. 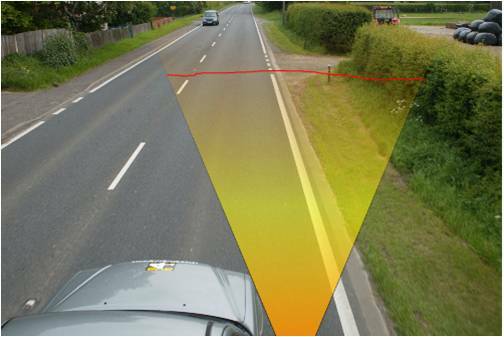 It is possible to obtain the desired resolution, which usually varies between 5 and 30 centimeters per pixel. Geniarp Group also offers photogrammetry performed by the use of drones. 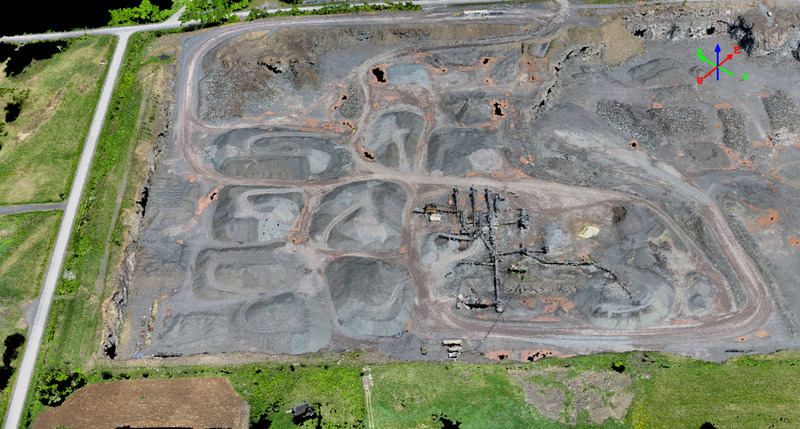 For smaller areas, this specialty allows us to offer very quickly a 3D aerial image at a high resolution and at a low cost. 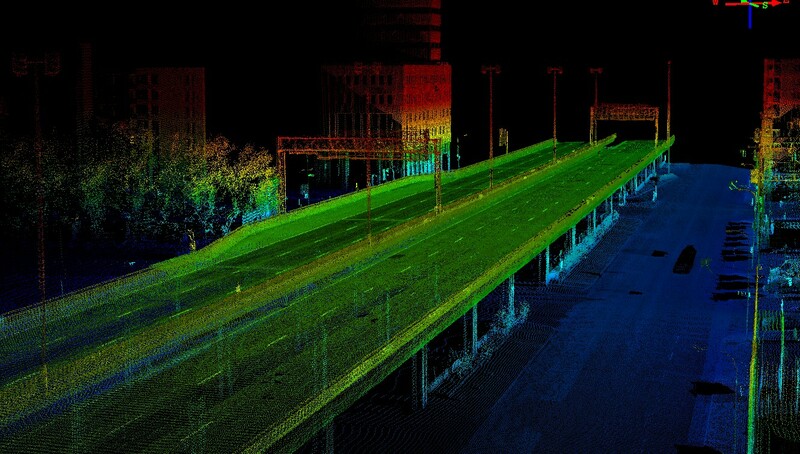 Our Lidar system can be installed on different types of vehicles, enabling efficient capture of infrastructures and a dot density very high per square meter. This provides an accuracy of 2 to 3 cm on the ground. 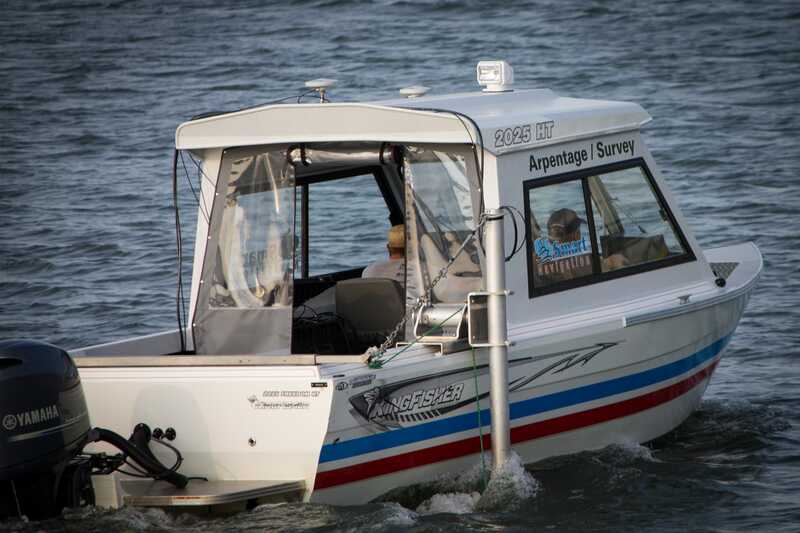 Over the years, Geniarp Group by its maritime division Smart Navigation has made bathymetry its specialty by surveying the seabed of rivers and lakes in several Canadian provinces. 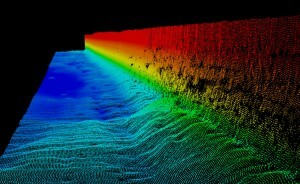 We use a cutting edge technology such as multibeam echo sounders, allowing greater accuracy of results and full coverage of the surveyed sector. 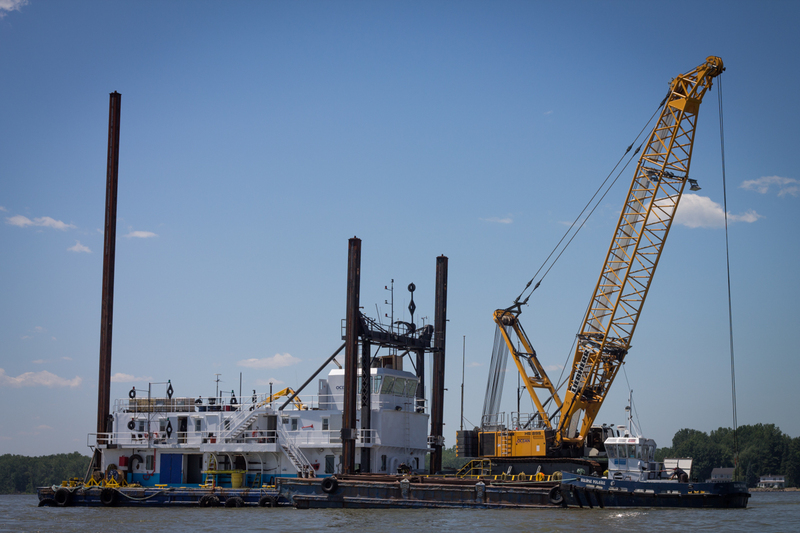 Geniarp Group is regularly involved in dredging operations in order to validate the excavated bottom. Our technology makes it possible to immediately provide results while the dredging team is still on site, allowing us to carry out any remedial work quickly, if necessary. 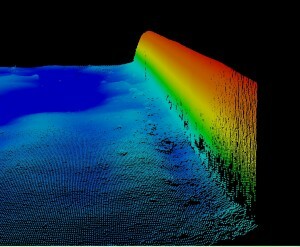 Following our bathymetry work, we produce colored charts indicating the depths of the seabed. 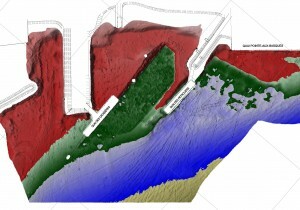 It is also possible to display the depth levels or modelize in a 3D model the topography of the area surveyed to inspect the installation. 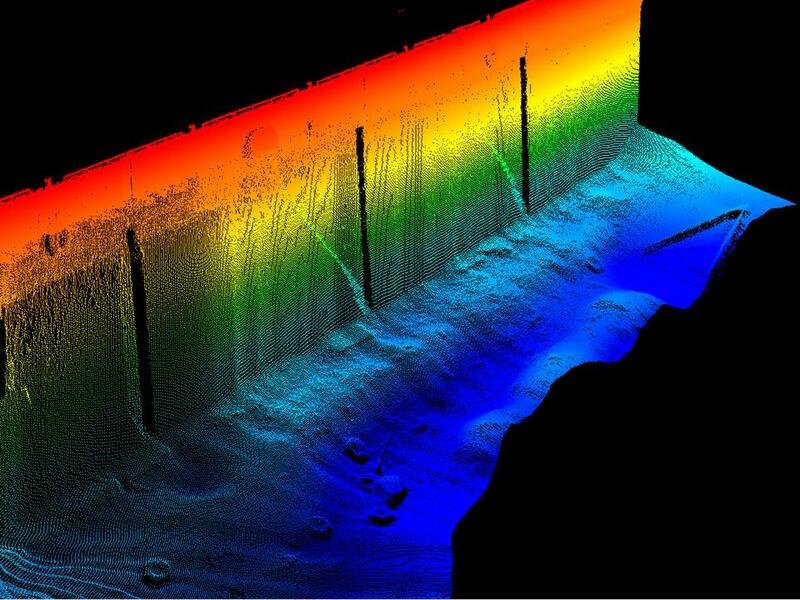 Volumetric calculations in bathymetry are done before and after dredging, we calculate everything that is necessary to determine the quantities of dredged material. It is also possible to assess a budget (the cost for dredging following) of dredging following a first poll and from theoretical sections. 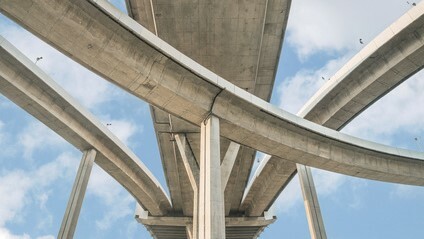 Géniarp Group provides services to contractors of various industries in the civil engineering market. We participate in the realization of your work regarding the proposed alignments implementation, validation of existing elevations, quantity monitoring, etc. 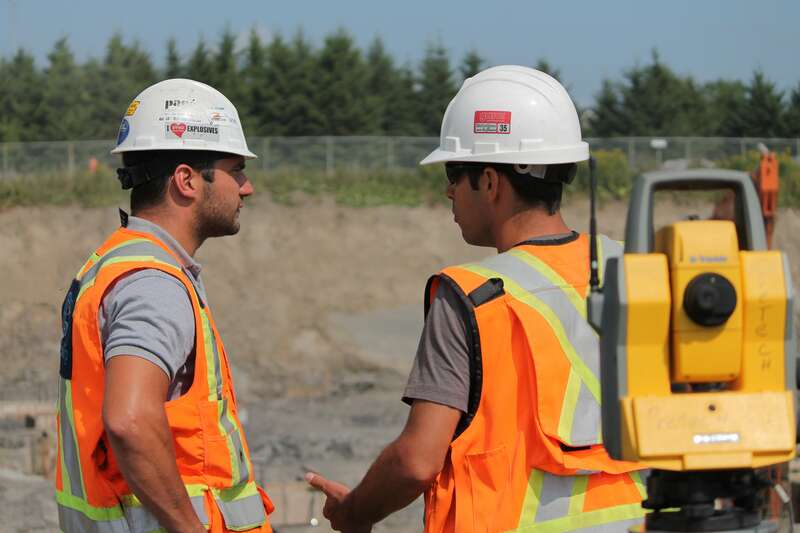 Whether for a small, medium or large project, our company will work to meet your needs. 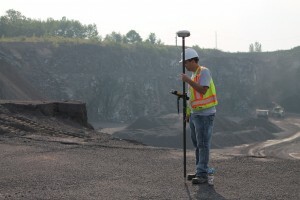 GéniArp offers solutions for surveys that meet your standards. Depending on your requirements and needs, our team will perform the necessary field measurements to develop your project and your designs. Our duty is to provide a turnkey product combining the topographic survey and analysis of the drawing by our team. 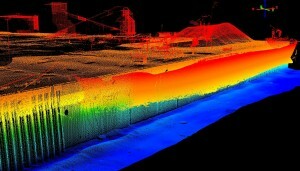 A survey with a 3D laser scanner is an acquisition of thousands of geo-referenced three-dimensional points. 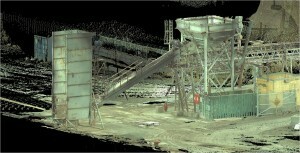 This therefore creates a point cloud representing the three dimensional environment. 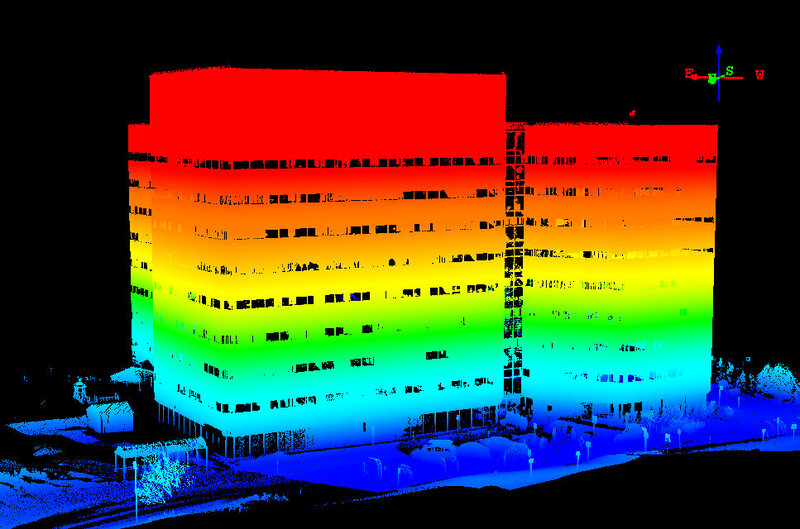 Whether for an outdoor site or a room within a building, our team will give you high-precision data in various forms available, as needed.